CyberVortex | One Stop Web Presence Solution. 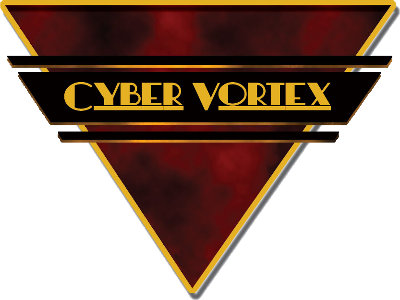 Cyber Vortex is a one stop web solution site. From assisting you in acquiring your first domain, to building your website and designing software tailored for your business needs, or maintaining a site and making the changes necessary to a growing business. You will find Cyber Vortex has the answers, skills experience and the desire needed to keep your site running flawlessly. • We have been developing and hosting web sites for 15 years. CAN A WEB SITE HELP GROW YOUR SMALL BUSINESS? We are becoming a “cyber-economy.” Many small business owners want to know if investing in a web site is a smart business move. Will a web site actually help grow a small business? We have to say yes, definitely. A website can boost your business growth by enabling you to reach potential new business. Having a web site is like having a full time 24/7 employee working to promote your business. A consistent source of information that can be accessed whenever a prospect is interested in learning about your company. A website also allows for repeat and referral business. A web site can answer questions for customers, provide directions and store hours, and even make forms available for downloading or completing online. Newsletters allow your business to update new information to website visitors. A website can easily automate functions for you that may now take an employee time to accomplish. A site can allow your staff remote access to company information while working from their home. It can automate routine processes, such as scheduling appointments and sending reminder notices. As your business operates more efficiently it also gives new and existing customers convenient access to your product. One Stop Web Presence Solution.